Get this season’s Integrative Guide to Healthy Skin! 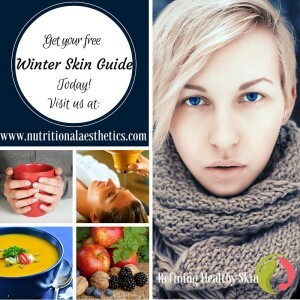 The Nutritional Aesthetics® Alliance’s Wonderful Winter Skin Guide is HERE! We care about giving you the BEST of the best, so we’ve filled your guide with on point, practical, and soulful tips to help your skin stay hydrated, smooth, and protected this season. Reading the NAA’s Wonderful Winter Skin Guide is like getting skincare advice from your really smart best friend—only better! Our Guide will be the only skincare reference you’ll want and need this season– it’s THAT good! Enter your name and email address below and we’ll email your Integrative Guide to Healthy Skin right away! After you get your guide, you’ll also stay up-to-date on Nutritional Aesthetics® news and announcements with our bi-weekly email digests! You can unsubscribe at any time. Are you a NAA Member? If so, there’s no need to subscribe–check your Membership Dashboard for quick and easy access to your Guide. Not a member? Click HERE.